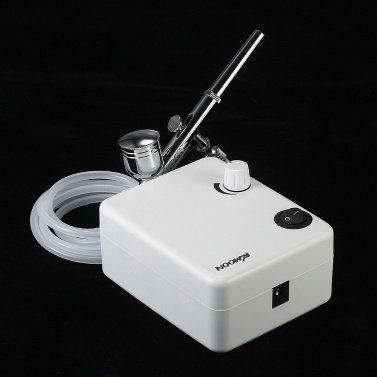 Need a mini compressor using the special non-oil type design? Try this one! 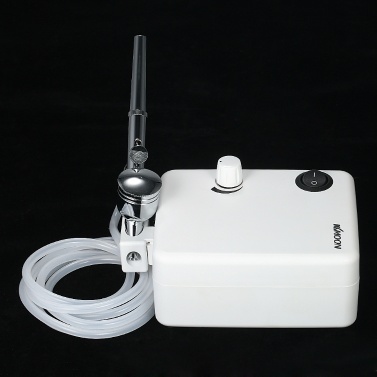 It's non-oil design makes the transmission medium not be polluted. 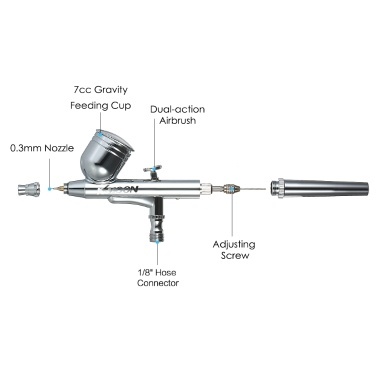 The output fluid is steady and the range of pressure is from 25 to 30psi. 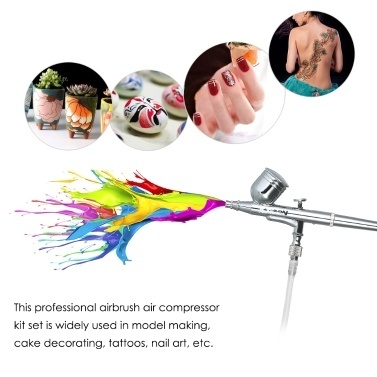 This professional airbrush air compressor kit set is widely used in model making, cake decorating, tattoos, nail art, etc. Perfect for artwork, nail art beauty, body art, design painting, model painting, cake decoration, craft, models and fine art such as car painting illustration, beauty and make-up. 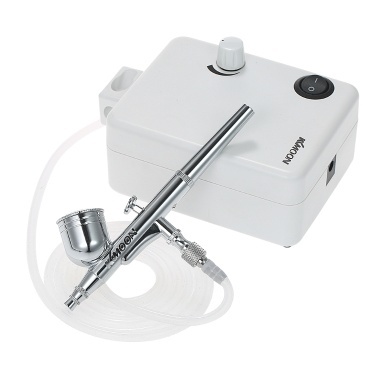 Include a portable air compressor, air hose, dual-action gravity feed airbrush, mini air filter and a holder. 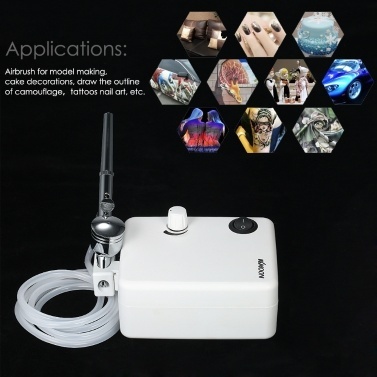 Quite and premium mini air compressor, portable light weight and easy to carry around. Double action trigger design saves raw materials and makes it durable.